Are antibiotics one of the real wonders of modern medicine? Or are they one of the worst discoveries in all of history? The answer to both questions is "yes"! Does that shock you? There's no doubt that antibiotics have saved untold numbers of lives. That's the amazing truth. But a recent outbreak in Illinois of what authorities have dubbed a "nightmare bacterium" is pointing out the other side of the story. And it just may be an indicator of what the future holds for us. The bacterium in question is called CRE. That stands for Carbapenem-resistant Enterobacteriaceae. And why is CRE a nightmare bacterium? It's because it kills close to half the people who become infected with it. And why does it kill so many people? It's because antibiotics don't work on CRE. The only way you can get rid of the infection is with your own immune system. And that's why antibiotics might just be the worse medical invention of the 20th century. Besides killing bacteria, antibiotics do two other things. One is that they create super bacteria like CRE. In the case of CRE, the use of antibiotics has trained the bacterium to make an enzyme that breaks down antibiotics. It's a very simple concept. Living organisms adapt to what they are exposed to. And when bacteria are exposed to antibiotics, some of them can adapt by developing systems that make them immune to the antibiotics. The other thing that antibiotics do is weaken your immune system. When you get a bacterial infection, your immune system will analyze the bug and come up with a way to kill it. That's what happened to the 50% of people who were not killed by CRE. Their immune systems were able to stop the infection. But when your doctor kills the infection with an antibiotic, it prevents your immune system from properly working. The result is an immune system that functions a little worse than it did before. This leads to more infections, which, of course, leads to more antibiotics. And the circle continues. So what have antibiotics given us? They've given us nightmare bacteria created by antibiotics that kill people combined with immune systems compromised by the use of antibiotics. So what's the answer? According to one of the experts from the National Institute of Health the answer is to "contain" the bacteria. Give me a break, please! According to the same doctor, most of the cases of CRE have been in hospitals and nursing homes where the bug can travel from patient to patient. So here we are creating super bacteria in every hospital and nursing home in the country and the answer is to contain them? Here's a better idea. How about stopping it altogether? And how can we do that? Let's get rid of the idea of dishing out antibiotics for every infection as though it didn't matter. Let's get rid of the idea of lacing up every animal we eat with antibiotics. That includes farmed fish, poultry, beef, etc. Let's start prescribing therapies to our patients that strengthen the immune system. How about stopping the use of antiseptic soaps, hand wipes, counter wipes, and all of the other indiscriminant use of antimicrobial chemicals? There has never been any evidence at all that these measures save lives or even prevent infections. In fact, where do the super bugs live? In hospitals and nursing homes — the very places where they use these chemicals the most. But here's the problem with all these suggestions. You can't do them. These changes have to come from the same industry that makes billions from selling the antibiotics. So the likelihood of that happening is not good. So given that, what can you do? First, find a doctor who knows how to fight infections naturally — without antibiotics. The most powerful methods are with ozone therapy, ultraviolet light therapy, and hydrogen peroxide therapy. That same doctor should also know how to advise you to take vitamin D, vitamin A, and immune-enhancers like my Super Immune QuickStart to prevent infections and limit their virulence. 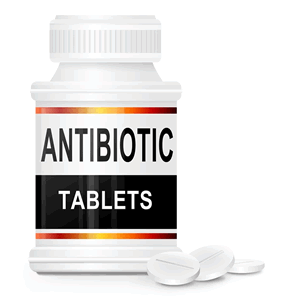 Then make sure that you avoid the use of all antibiotics unless you are facing a very serious infection. The evidence shows that close to 90% of the time antibiotics are prescribed, they are not needed and do nothing to shorten the infection. And one last thing. Where do you suppose the new super bacteria like CRE hang out? If you guessed the intestines you would be right. So the way to control the bacteria like CRE is to have a healthy balance of intestinal bacteria. That means eating right, avoiding animal products with antibiotics, avoiding all the antibiotic soaps, etc, and taking probiotics a few times every week. Porter, Caroline. "Outbreak of 'nightmare bacteria' in Illinois stirs worry." The Wall Street Journal, January 08, 2014.